Call 732-837-2099 to schedule your first appointment. If you’re searching for a place to get custom-designed hearing aids in Toms River, NJ, look no further. At Miracle-Ear®, we know that more than 36 million people in the U.S. have some degree of hearing loss*, and we’re the brand Americans trust. With our products, you’ll be able to improve your listening abilities and focus in on the sounds you want to hear. Our hearing aids have less feedback and noise interference, which will enable you to experience clear and rich sounds. We've been in the industry for more than 70 years, and with our more than 1300 locations nationwide, we’ve helped all kinds of customers with different hearing issues. Our goal is your satisfaction, so we’ll work hard to see that you receive premium service, comfortable hearing aids, and free hearing aid repairs. Which Hearing Aid Works for You? Don’t go to just any hearing center when you can trust Miracle-Ear, the nation's most recognized brand of hearing aids. We’ll do our best to see that you can appreciate the clear, rich sounds in your life. We proudly serve our customers in Toms River, but we’re also able to accommodate the needs of those in Beachwood, Lavallette, Pine Beach, Ocean Gate, and Island Heights. Call us today to learn more about the 30-day risk-free trial† that we offer. MaryBeth is a Hearing Aid Dispenser in our Toms River location. 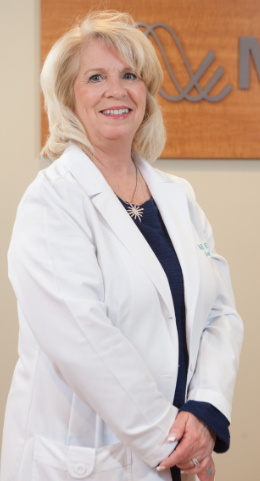 MaryBeth has over 18 years of experience as a hearing aid dispenser and has worked for Miracle-Ear for almost 19 years. MaryBeth is licensed by the State of New Jersey. In addition, MaryBeth is a member of the International Hearing Society. MaryBeth's favorite part of working at Miracle-Ear is working with a company that shares her enthusiasm for her client's experiences and the commitment to improving their quality of life. I had a terrific experience at Miracle Ear Toms River location. Product is phenomenal and customer care is the best. Staff is courteous, genuinely friendly and knowledgeable. But, the best thing of all ... I can hear! † If you are not completely satisfied, the aids may be returned for a full refund within 30 days of the completion of fitting, in satisfactory condition, as prescribed by state law. Fitting fees may apply. See store for details.